I couldn’t agree more with what this Washington Post reviewer wrote about Marie Kondo’s approach to “tidying up” in her new show on Netflix. 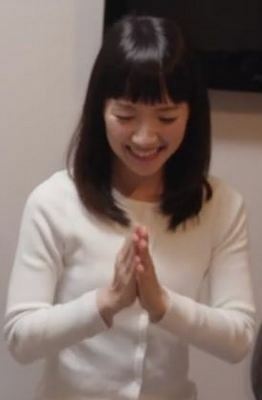 Unlike her TV predecessors, Kondo brings a calming influence to the surroundings – even asking the owners if she may take a moment to kneel in a particular spot and silently greet their homes. This is a noble and overdue concept for the home makeover and real estate genre – a chance to express gratitude for any home, rather than the perfect home. Years of HGTV’s programming have placed homeowners and home-seekers on a narcissistic pedestal of entitled complaint (our house is too small, too ugly, too outdated) and criticisms. That got me thinking about my attitude toward the gardens I create and then care for. Am I one of those “entitled” complainers on HGTV? It took mere seconds of reflection for me to conclude that no, I’m not. Real gardeners like me just don’t see their gardens that way. Sure, I notice the tasks that need to be done but overall, I love being in my garden and appreciate the hell out of it, whatever condition it’s in. But what about when my garden gets crowded, when plants start encroaching on pathways, when maybe something has to go? Here’s where a super-declutterer like Marie has useful advice for me. So the next time I’m making one of those yank-or-keep decisions about an unhappy or overgrown plant, I’ll try asking myself if the plant is “sparking joy” for me. That’s her favorite phrase and a really great one, I think. I’ll also try following her advice and “thank” each plant before sending it to the compost (or to a plant swap or whatever). The sight of Marie holding a small piece of clothing reverently in her grasp and then quietly thanking it inspires me to give that a try. All this makes me wonder – is there anything else in my life that I need to thank and discard because it’s not sparking joy for me? Certainly my constant checking for emails and Facebook responses comes to mind. And how about this: Do all my relationships spark joy or are some of them more joy-draining? Back to the show for a quick reaction. The very notion of this tiny nonEnglish-speaking woman having her own show on American television (or whatever Netflix is) seems crazy! And in a good way. But then so is the astonishing success of her book. Naturally I’m all for decluttering and to Marie’s fans I say “Go for it!” But I’m more of a minimalist than a clutterer, so I’ll leave to others a real review of her advice. I also don’t watch reality TV, so the super-scripted artificiality and the constant promoting of Marie and her method honestly drove me nuts. But on a final note, I love that two of the seven homes featured in the show are inhabited by gay couples. I try to notice and enjoy examples like that of things getting better in this country, because, you know. Marie Kondo in the Garden, and Life originally appeared on GardenRant on January 4, 2019.